ATTRACTIONS: A groomed trail system for skate skiers and classic skiing. 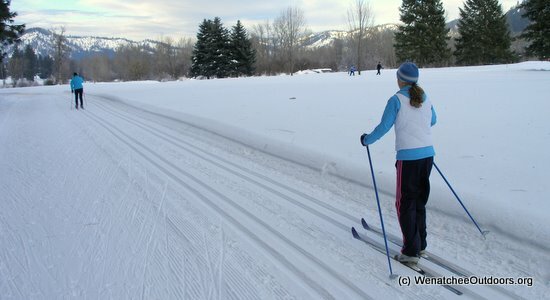 The trails around Leavenworth’s Golf Course are rolling in nature and, especially among skate skiers, attracts skiers of greater abilities than the Fish Hatchery trails. The scenic setting beside the Wenatchee River make this a very pleasant a short outing. CONS: Skiing these trails is not a wilderness experience. They are well used trails bordering the edge of Leavenworth. 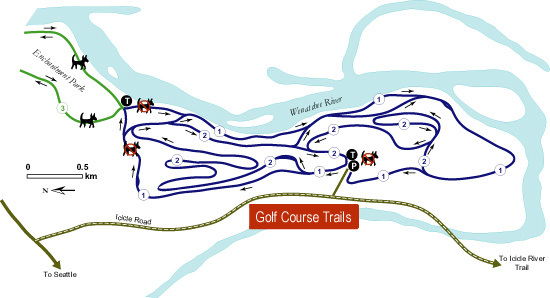 These trails also need considerably more snow to open (so the underlying fairways and green are not damaged) than the nearby Fish Hatchery trails. The need for more snow means the Golf Course often has quite a short season. 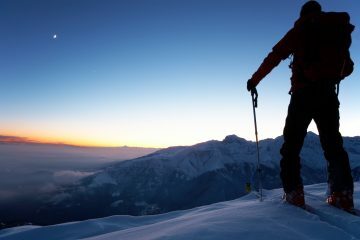 When it’s open, make an effort to ski it. LENGTH. The different loops at the Golf Course total to about 8 kilometers. 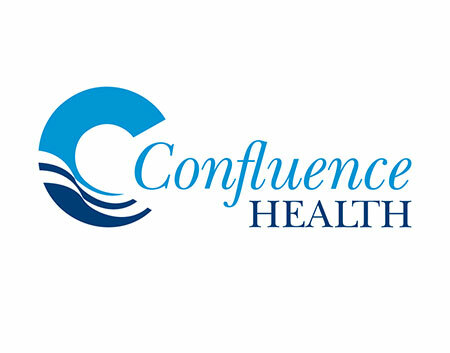 On the north end of the system, you can also hook into the waterfront trails that border the Wenatchee River and in 3 kilometers take you to within a few blocks of downtown Leavenworth. ELEVATION GAIN. The trails are rolling in nature and over the course of the 8 kilometer loop gain and lose several hundred vertical feet. ACCESS. From the west edge of Leavenworth, turn south off US highway 2 onto the Icicle Road (following signs toward the National Fish Hatchery). In a little over 0.5 miles, turn left into the golf course and drive a short distance to the main parking area. MANAGEMENT / RATES. 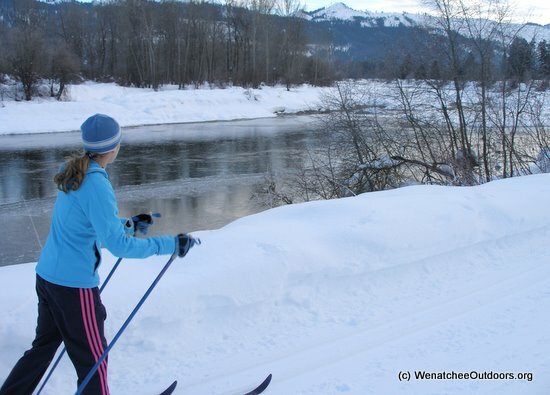 These trails are groomed and maintained by the Leavenworth Winter Sports Club (LWSC), a local non-profit. Individual seasons passes and family seasons passes are very inexpensive. Day rates in 2009/2010 were $12/day for adults (kids under 13 are free). Details about different rates and passes are available at the LWSC website.